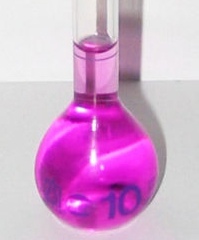 Potassium Permanganate is a very versatile chemical. It can be used for disinfection, removing hardness, removing iron and manganese. It has another health related use, it can be mixed into a paste and used as a topical salve for athlete’s foot (or similar problems). 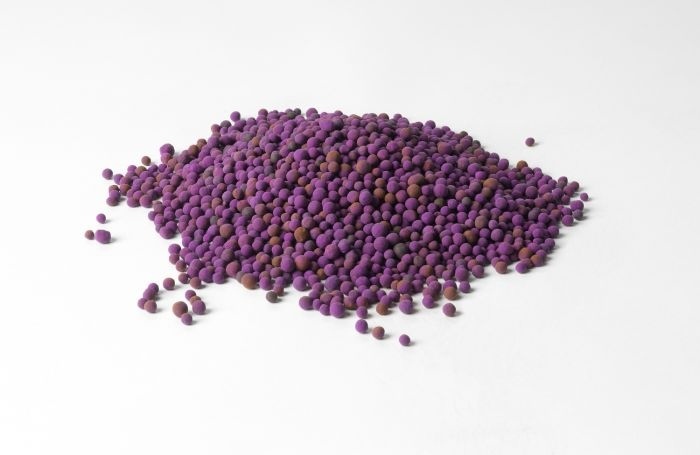 As a result potassium permanganate is a great addition to any emergency preparedness supplies. Potassium Permaganate has the chemical formula of KMnO4, and it comes as a deep purple dry powder. 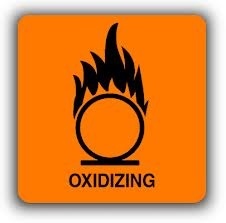 This chemical is a very powerful oxidizer and it should not be stored anywhere near acids or fuel sources or it could result in fires, explosions and/or toxic gases being formed. Explosives is another use of this chemical (one which I will not be explaining here). 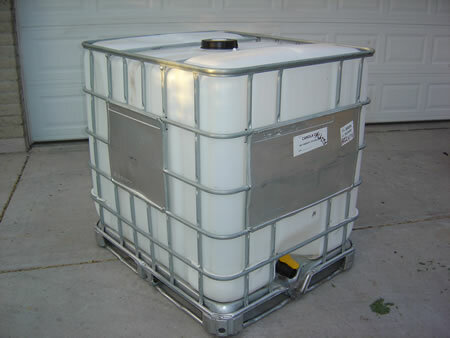 This chemical can be stored for over a year if it is kept clean and dry and in a sealed container. Before touching the dry powder, make sure you wear a particle mask (ideally a N95 or better). This chemical will irritate the airways if inhaled directly. Also the powder once mixed with water becomes a powerful dye. It will stain clothes permanently, stain skin temporarily and cause corrosion on any metal or masonry it touches. Anything that becomes exposed to a potassium permanganate solution becomes brown, a similar shade of brown to a henna tattoo. To make a topical treatment with KMnO4 mix the dry powder with water until it has the consistency of playdoh. Apply the mixture on the affected area and repeat as necessary. Remember that I am not a doctor and I am not giving medical advice. I am only outlining that this chemical CAN be used for medical purposes. Whether or not you SHOULD use KMnO4 for medical applications is not something I can tell you. Potassium permanganate is very similar to sodium hypochlorite in the sense that they both disinfect water through oxidation. Disinfection of drinking water can be achieved by adding it to the water until the water turns pink. The pink in the water is the residual potassium permanganate. 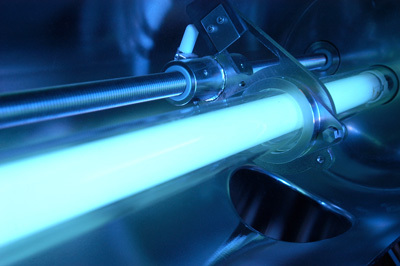 Meaning that there is nothing left to use up the chemical and any bacteria has been used. Think of the pink water as being similar to the point where you can smell bleach when using sodium hypochlorite for disinfection. Just like with the smell point of bleach has surpassed the disinfection point, you do not need to keep adding KMnO4 until you see pink. Disinfection has occurred well before you can see a lasting pink tint to the water. 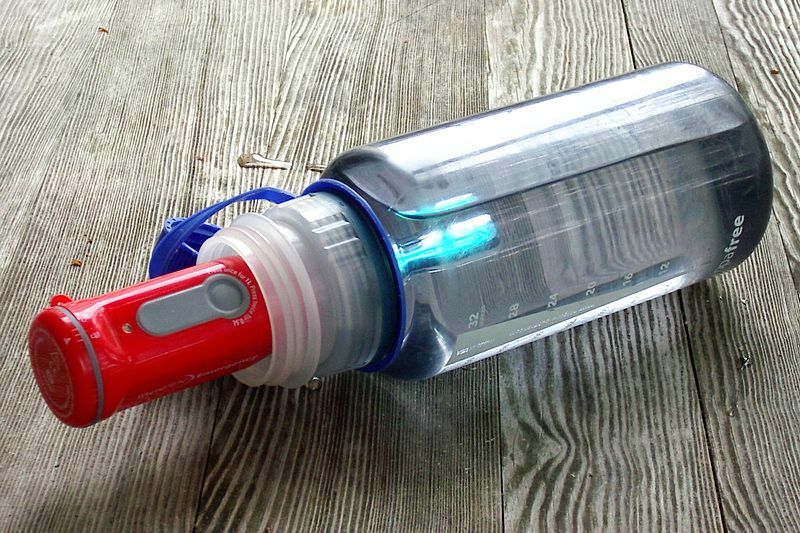 Using the color change is a simple and easy to remember method for disinfection of drinking water. And if the pink tint disappears at any time then you know you need to add more of the chemical to redisinfect the water. If you want to avoid pink water and spend less money on chemicals you can buy a testing kit for manganese. Most kits can measure the residual levels of KMnO4 at levels well below the pink water threshold and well above the disinfection requirements. For better results with disinfection it is best to filter the water through a greensand filter. Now this is not an indication of the color of the sand (it is actually black in color). Greensand is an activated filter media designed for removing iron and manganese through a process called ion exchange. The good news with a greensand KMnO4 combination is that the potassium permanganate will reactivate the filter media. 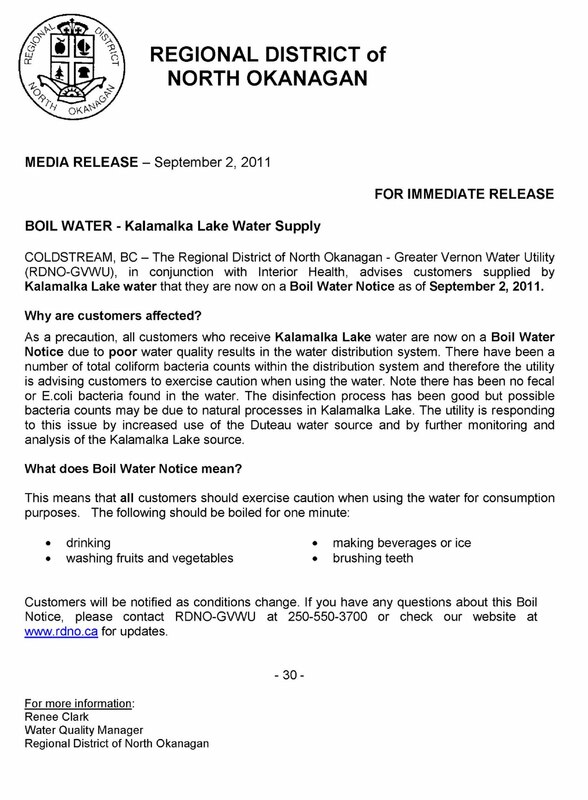 One thing to note is that potassium permanganate once added to water will make the water more corrosive. If the water is very pink it can also stain any container it is stored in. The pink water is perfectly safe to drink. I mean the water is not dangerous because of the pink coloring. 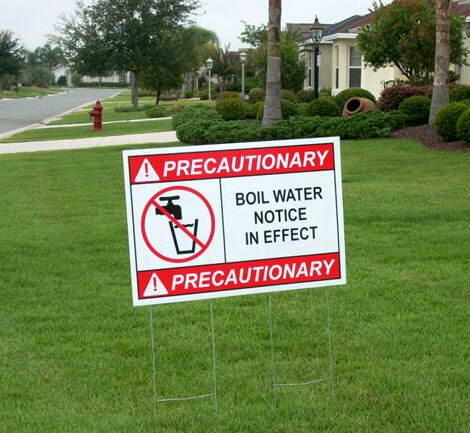 It may however be dangerous for another reason or contaminant. Another thing to note about KMnO4, is that if you add it to chlorinated water it will form a percipitate (solid). This is manganese dioxide, it is harmless except it will consume all the available chlorine in your water leaving you open to contamination from microorganisms. With a few simple precautions KMnO4 is an excellent chemical to have on hand. It can be stored longer than sodium hypochlorite (bleach) and it can be added directly to the water unlike calcium hypochlorite. It also is very easy to see when enough of the chemical has been added. If there is a lasting pink tint that doesn’t disappear with time then the water has been disinfected. 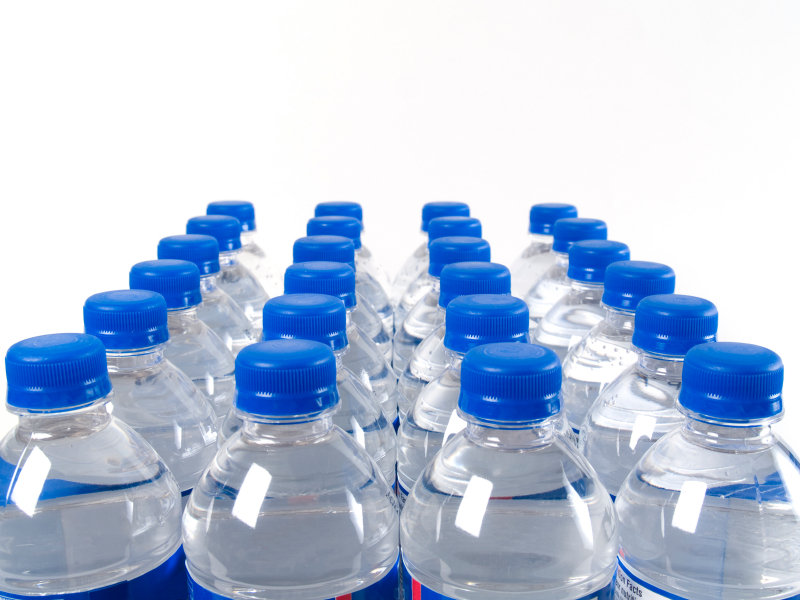 When it comes to disinfecting your own drinking water, always be careful with the quality of chemical you use. They are not all created equal. The north american standard for chemicals used in drinking water is NSF/ANSI 60. 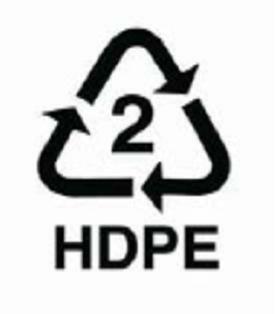 Choose chemicals that meet this standard above ones that don’t. The will be significantly safer for your health and well being. First off a bit of a disclaimer, I am fully aware that zombies are not real. I am however highly entertained by zombies and all things undead. Since the Omega Man Journal is about water and survival, that lead to the obvious thought experiment of what challenges a zombie outbreak would have on our ability to get safe drinking water. The first thing to appear after the dead rise will be panic. Fear will be rampant and many people will be operating on their fight or flight instincts others will be holed up at home. This includes the people who work at municipal water treatment plants. Water facilities, although automated still depend heavily on people to operate them. When those people stop going to work or are already zombie chow then the water will stop shortly thereafter. To see what it would look like when a water system gets shut down and roughly how long it would take read Grid Shutdown: How Long Will The Water Last. The same will be true of the sewage systems. Read Grid Shutdown: Why Is There S#!t In My Basement, Sewage Emergency: Thunder Bay Flooding and A City Without Sanitation to see just how disgusting our once clean (or not so clean) cities will become. Speaking of sanitation, people will die from unsanitary conditions. That means dead bodies, not just zombies, but regular dead bodies. 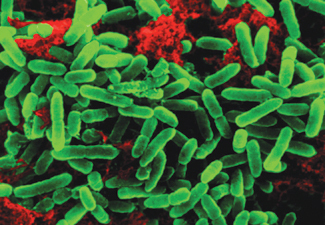 Cholera is an excellent example of a waterborne disease that is a direct result of decomposing animal tissues in a water supply. Thirst will drive people to the nearest supply of water, then many will die on the banks and contaminate the lakes and rivers. Remember at this point I’m not talking about zombie contamination of water sources. That’s coming up later. This is a real danger when thirsty people or animals die in water supplies. Depending on how zombies are created there may be a serious water vulernability. 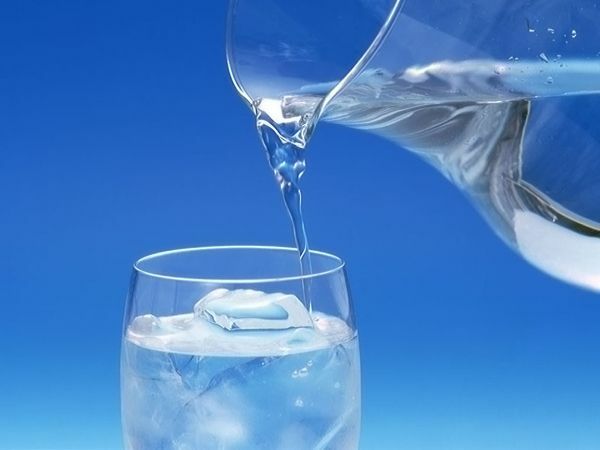 There are already bacteria, viruses, parasites and other micro-organisms that use both water and human bodies as part of their natural life cycle. Typically we call the effect of these micro-organisms “water borne disease”. Also there are already parasites that can take control of other organisms even to the point of making the host suicidal. 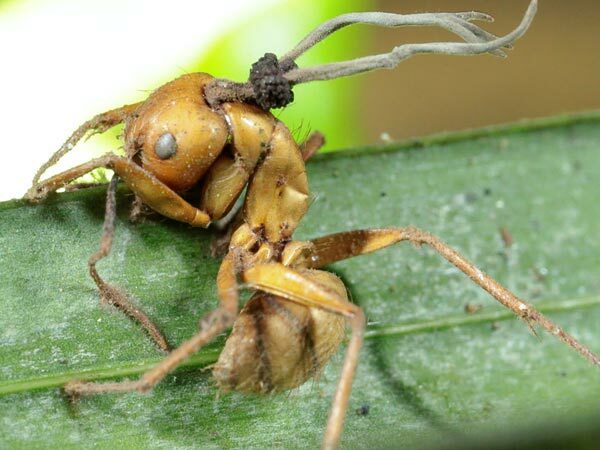 Specifically there is a fungus that will radically alter the behaviour of ants turning them into zombie ants. (read more about zombie ants). We are talking about total control of the host for the benefit of the parasite. Finally there are countless micro-organisms and insects that thrive and depend on rotting flesh to survive either for food or as a vital part of a life cycle stage like maggots turning into flies. Those three characteristics which already exist, put a zombie making organism on the edge of being possible. 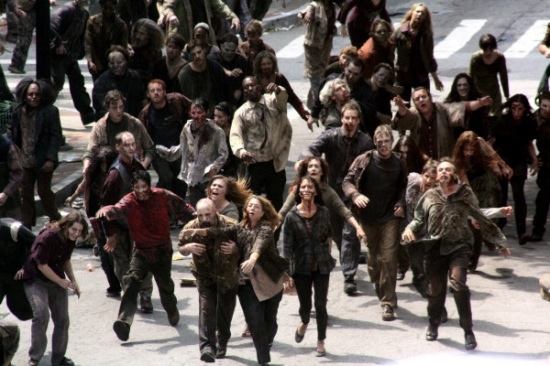 Nature has already made all the organisms necessary to create a zombie, luckily for now the necessary skills are in different organisms and target different organisms. The problem is, if nature caused one organism to eat rotting flesh, it can teach another organism to do the same. Same thing with learning to disperse through water and to take control of other organisms. 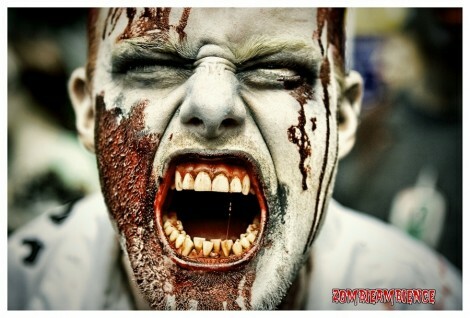 Let’s assume this is the cause of zombification, what then can anyone do to protect themselves? The good news is that modern water treatment is very good at removing and inactivating micro-organisms. The combination of chemically assisted filtration and disinfection should (if done correctly) remove 99.999% of micro-organisms. Depending on the size of this fictitious zombie bug/parasite/virus it might be possible to remove even more than 99.999% if it is on the large end of the size scale. If it is a virus, which is the smallest type of micro-organism then removing 100% of the z-virus will be next to impossible. That means we better hope that there is a disinfection method that can kill the virus either chlorine, UV, ozone or boiling. One thing many people haven’t thought about when they are talking about zombies and water. Water is very heavy. If you have to haul water from its source to your secure facility it will become very difficult to run at the same time. Now vehicles are an option as are hand carts and if you have the resources pumps and pipes are best. 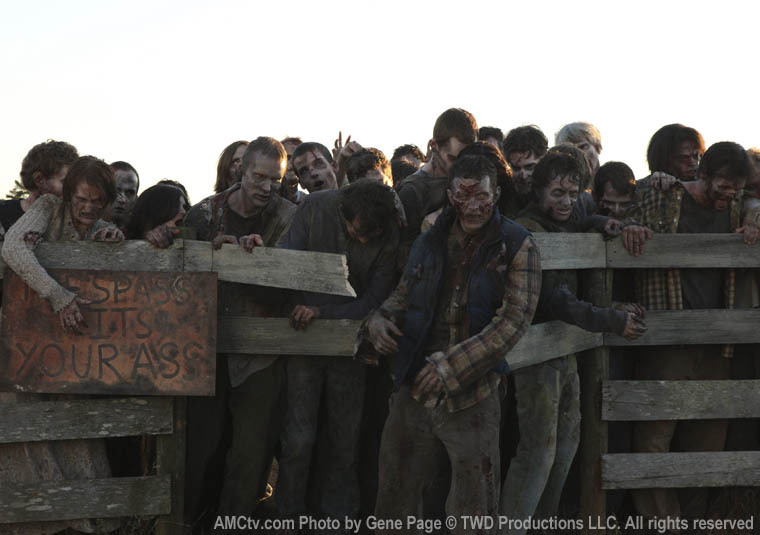 Just remember that they are all noisier and may attract unwanted attention from nearby zombies. Those are some of the challenges I see affecting our ability to drink safe potable water in the event of a zombie outbreak. I tried to be as true to real science as is possible when talking about zombies. At the very least I hope you were entertained. Can you think of anything I missed?